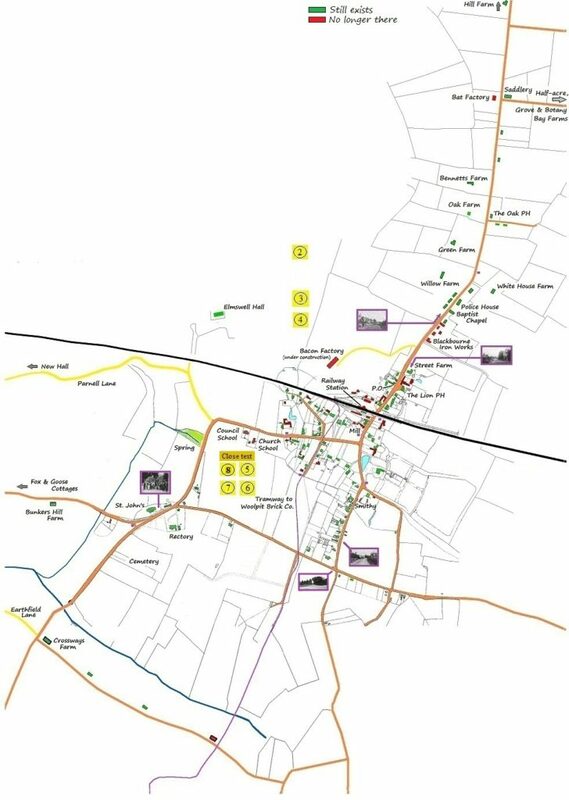 There are a lot of notes and pictures buried in the map below, so in addition to reading the narrative of our walk round the village you can uncover much more detail: point to a building, or click when a link indicator (usually a little hand pointer) appears. Some of the postcard views are marked with a tiny purple square dot; others along School Road and Station Road may just appear! The best way to go down the page is to click on the yellow (2). Having just filled in our 2011 census, let’s turn the clock back 100 years…. Mr Arthur Ennals, who lives at Lindencroft in School Road, has completed his round of the village collecting in the 1911 census forms – this is the first time they have been filled in by the villagers themselves, and very neatly they did it too! There are 854 people listed (see chart below), including a few visitors. We are blissfully unaware that the population will quadruple in the next 100 years, and that many housing estates will be built to accommodate them. For now, almost all of us live along the New Road – Ashfield Road axis or in Hawk End Lane, School Road and Rose Lane.